After the White Rhinoceros encounter the previous evening, we set out early this foggy morning in what turned out to be a birding safari. For the first 45 minutes, the soft misty light made bird photography impossible. Finally when the light got better, we spotted a pair of endangered Grey Crowned Cranes. We switched off the engines and spent some time observing these beautiful birds. 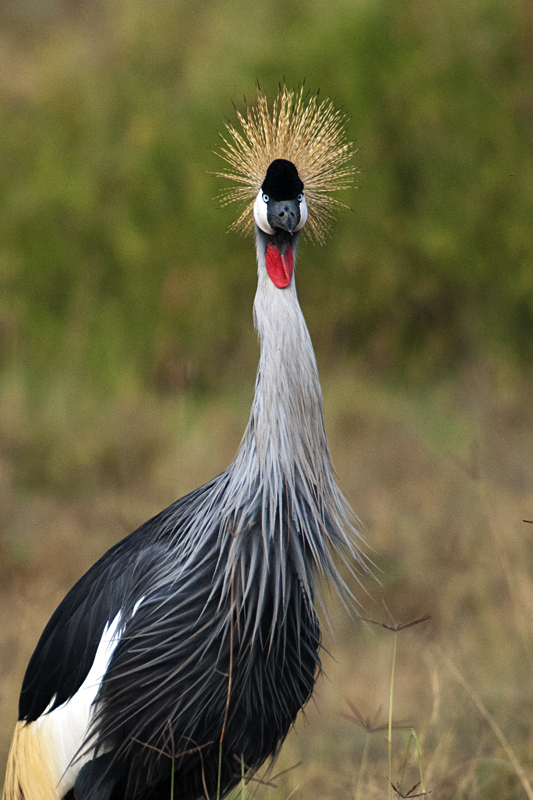 At a point, one of the Grey Crowned Cranes looked directly at me and I was captivated by its gorgeous crown. 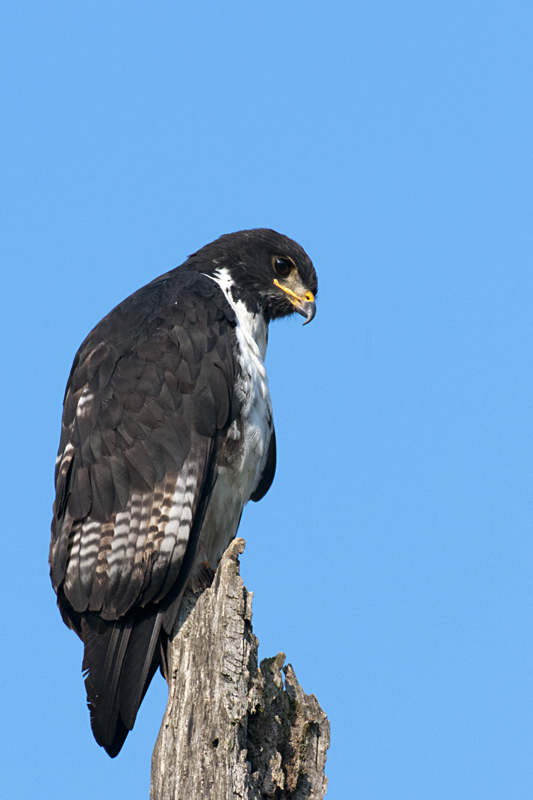 As we moved further into the Lake Nakuru National Park, an Augur Buzzard was sunbathing in the early morning sun. It stayed still while its roving eyes continuously looked out for potential prey. Along the way, we stopped by to observe the antics of a troop of Olive Baboons. And as we were exiting the park to head to the resort for breakfast, another Grey Crowned Crane was foraging amongst the tall grass making a closeup composition possible, which we made the feature image of this post. 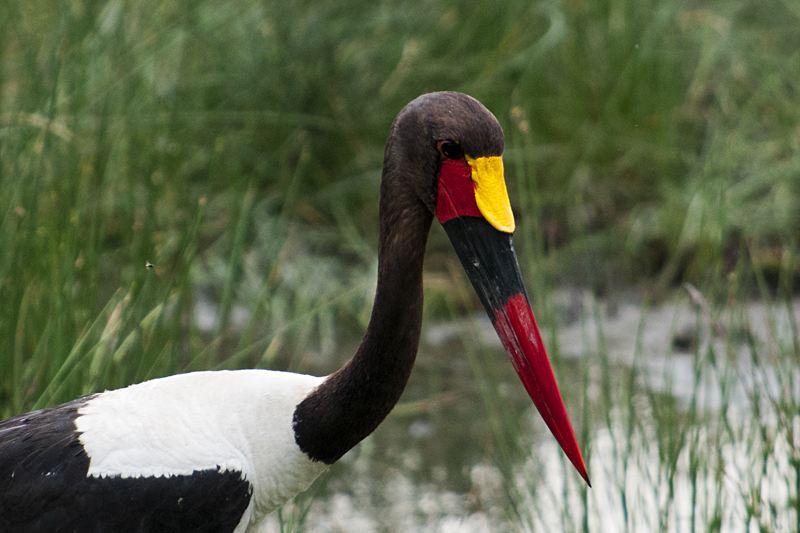 Our luck with birding continued in the evening safari as well and we spotted this Saddle-billed Stork at close range. As we were pondering over the colorful bill of the Saddle-billed Stork, another beautiful wonder came and perched close to the road. 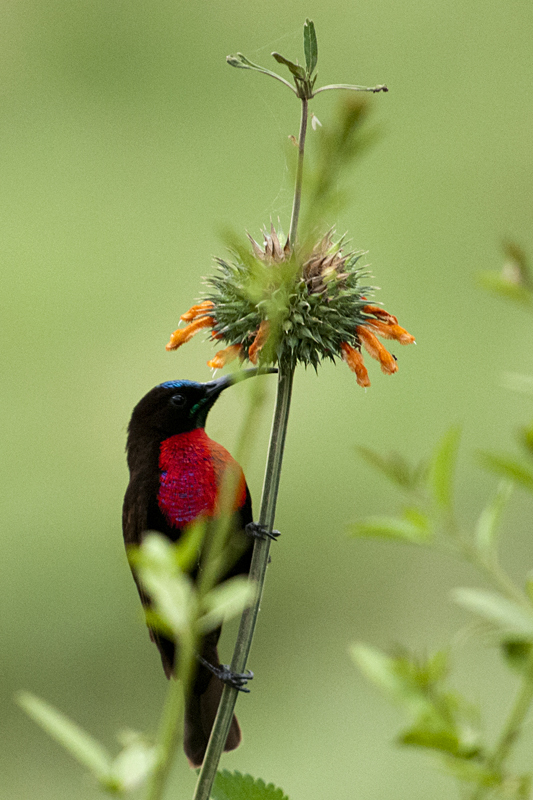 We later identified the bird as the Scarlet-chested Sunbird. 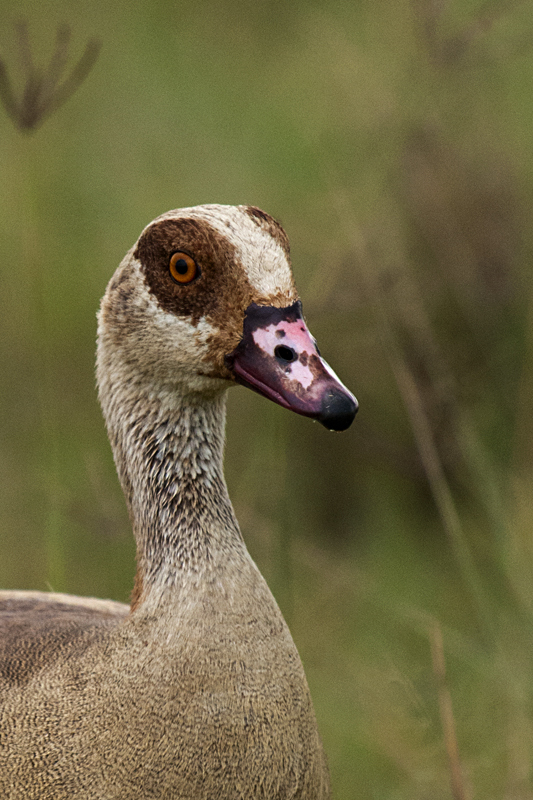 We rounded off the evening with the sighting of the Egyptian Goose. Once again this bird too came pretty close to our vehicle giving the opportunity for a portrait composition.